The President of the Society for French Studies invites expressions of interest in the positions of General Editor and Co-Editors (2) of French Studies. The three positions are available from January 2019 when the current General Editor, Professor Tim Unwin, and one of the two current Co-Editors, Professor Russell Goulbourne, will both be standing down after seven years in office. The initial period of office for the new appointees will be for five years, with the possibility of renewal at the end of that term for a further agreed period. The expectation is that the incoming appointees will, prior to commencing their term of office, shadow the existing editorial team from July 2018, then from January 2019 continue to work alongside Professor Emma Cayley whose five-year term as Co-Editor began in 2016. Suggested names, as well as individual expressions of interest (which should include a brief CV), should be sent to Professor Bill Burgwinkle (web25@cam.ac.uk), President of the Society, by Friday 20 October 2017. Interested parties should feel free to consult any member of the Editorial Board (see below), or the current Editors of the journal. 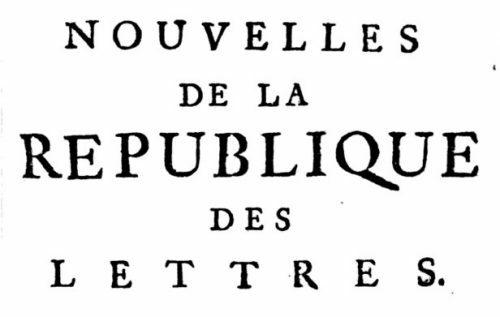 They may wish also to consult the journal’s website (https://academic.oup.com/fs), and the website of the Society for French Studies (http://www.sfs.ac.uk). French Studies first appeared in 1947 and published its seventieth volume in 2016. Past General Editors include Alfred Ewert, Robert Shackleton, Lloyd J. Austin, Malcolm Bowie, Alan Raitt, Michael Freeman, and Jean Duffy. French Studies has long been amongst the most significant journals in the field. Since its first appearance, it has played a seminal role in publishing important and innovative work. Today, the journal publishes articles spanning all periods and every disciplinary strand of the field, including literature, thought, theory, film, cultural studies, language and linguistics. The journal aims to publish work which appeals to the interests of a wide international readership, especially articles which, in addition to making a contribution to a specialized area of knowledge, will have a substantial impact on critical debate. French Studies is the widest-ranging of the leading journals in the field and its review section is unmatched in its breadth and its quality. French Studies also publishes occasional Special Issues (https://academic.oup.com/fs/pages/specialissues), as well as regular états présents surveying recent research on major authors and topics. The états présents are freely available online (https://academic.oup.com/fs/pages/etatspresents). Editorial responsibility for the journal lies with the General Editor, the Co-Editors, and the Editorial Board. The journal publishes around twenty articles and four états présents a year, and up to three hundred reviews. Since 2000, the journal has been published on behalf of the Society by Oxford University Press. The current contract runs until the end of 2019. The journal, through the royalty paid by OUP and through other payments, makes a substantial financial contribution to the Society. All aspects of production and publication are the responsibility of OUP. Members of the Society receive the journal by virtue of their subscription, and institutional subscriptions are managed by OUP. Together with OUP, the Editors and the Society have worked in recent years further to enhance the journal’s profile and to extend the range of benefits provided to members and readers generally. The journal has been published online as well as in print since 2002 and the complete archive of French Studies is available online to members of the Society and to institutions subscribing to Oxford Academic. All articles and reviews are published on advance access a few months before appearing in the issue to which they are assigned. Peer-reviewing and manuscript tracking of articles and reviews is carried out through the ScholarOne system, with the help of a Virtual Editorial Assistant (Paula Potter) working for OUP. The General Editor and Co-Editors of French Studies are appointed by the Executive Committee of the Society with advice from the Editorial Board. As Appointed Officers of the Society, the General Editor and Co-Editors serve as full members of its Executive Committee, reporting to it four times a year on practical and operational policy issues concerning the journal. The current members of the Editorial Board are: Janice Carruthers, Queens University Belfast; David Cowling, University of Durham; Simon Gaunt, King’s College London; Nigel Harkness, Newcastle University; Nicholas Harrison, King’s College London; Shirley Jordan, Newcastle University; David McCallam, University of Sheffield; Lorna Milne, University of St Andrews; Richard Parish, University of Oxford; Marion Schmid, University of Edinburgh; Judith Still, University of Nottingham; Emma Wilson, University of Cambridge. Terence Cave, St John’s College, Oxford; Peter Cryle, University of Queensland; Colin Davis, Royal Holloway, University of London; Jean Duffy, University of Edinburgh; Nathalie Ferrand, École normale supérieure de Paris; Alison Finch, University of Cambridge; Rhiannon Goldthorpe, St Anne’s College, Oxford; Virginie Greene, Harvard University; Michèle Hannoosh, University of Michigan; Marian Hobson, Queen Mary, University of London; Michel Jeanneret, Johns Hopkins University and Université de Genève; Neil Kenny, All Souls College, Oxford; Frank Lestringant, Université de Paris-Sorbonne (Paris IV); Michael Lucey, University of California, Berkeley; John Lyons, University of Virginia; Christiane Marchello-Nizia, École normale Supérieure de Lyon; Patrick O’Donovan, University College, Cork; Dominique Rabaté, Université Paris Diderot (Paris VII); François Rigolot, Princeton University; Mireille Rosello, University of Amsterdam; Gèneviève Sellier, Université Michel de Montaigne, Bordeaux 3; Jean Starobinski, Université de Genève. liaison with relevant officers of the Executive Committee of the Society (President, Treasurer, Publicity and IT Officers). The Executive Committee of SFS will set up a sub-committee to advise on the appointment of the next General Editor and Co-Editors. The sub-committee will be chaired by the President of the Society, and will include members of the Editorial Board and Executive Committee of the Society. In late 2017 the sub-committee will consider all names received or proposed. It reserves the right to discuss other names at this or any later stage. Individuals whose candidature it would like to pursue will be asked whether they wish their names to remain under consideration. If so, they will be asked to submit a detailed CV, together with a statement in support of their candidature, by the end of 2017. They may be expected to discuss their candidature in person with the sub-committee at a meeting in the early months of 2018. The Executive Committee expects to formalise the appointments by late Spring 2018, so that the General Editor, together with the new Co-Editors, can shadow the current editorial team from July 2018. The period of office for both appointments will begin officially in January 2019.